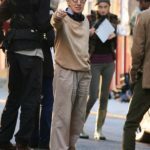 11th September 2017 marks the production start date of Woody Allen’s 2018 film. It is his 48th film, and his 35th where cameras rolled in New York City. 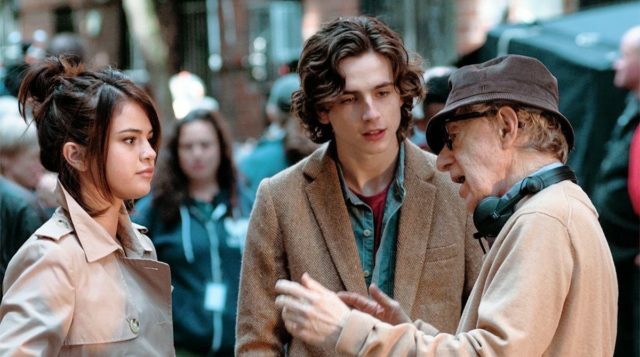 Day 1 marked a public day of filming with the three young leads – Timothée Chalamet, Selena Gomez and Elle Fanning. Daily Mail has a pretty good round up as well. 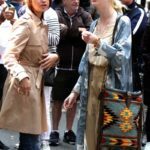 The production made a very public splash, with outdoor filming on Minetta Street in West Village, outside the Mexican restaurant Panchitos. In a parked BMW, Chalamet and Gomez shared a kiss, and were scene coming in and out of the restaurant. Both were dressed in contemporary clothes. The contemporary car suggests that we are back in the present, after making two films (and a TV series) set in the past. 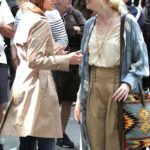 The crew were set up on Bleecker St, and Fanning was spotted talking to Gomez, although it seems unclear that Fanning was filmed. 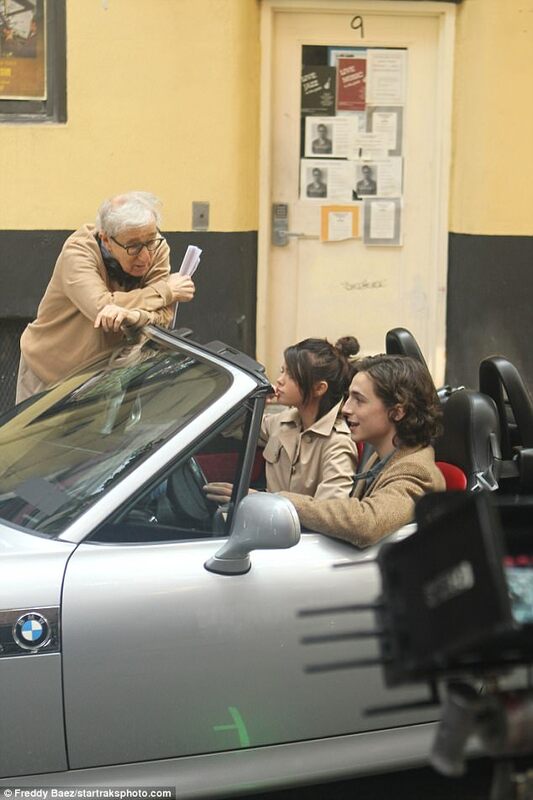 Also spotted is cinematographer Vittorio Storaro, officially making this his third film with Allen. 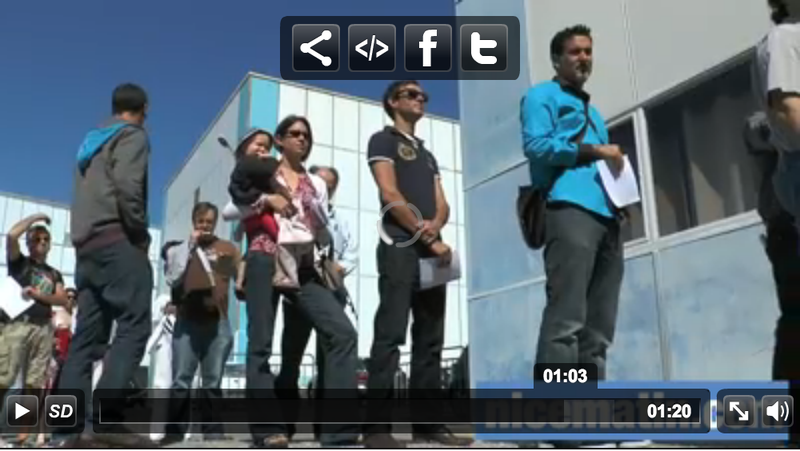 No other filming was spotted, and none of the other cast was there. We expect more filming in New York, and with such high profile stars, we hope to get a lot of information. As it’s a Monday, the day ended at The Carlyle, where Allen took to the stage to play clarinet, a gig that he has held for decades. 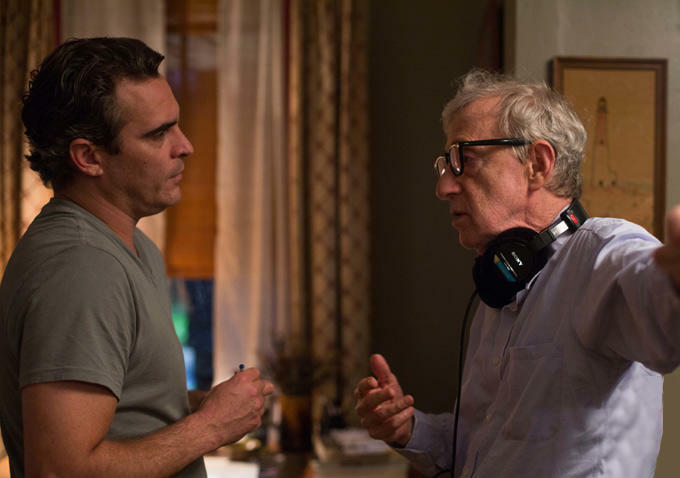 We will be keeping up with the production of Woody Allen’s 2018 film as it happens.